I’ve been going through a bit of a black-and-white phase. Black jeans, black boots, white cardigans. Black and white patterned everything… stripes, polka dots, stranded sweaters. A strand of pearls. A faux-leather blazer. And why not? It’s classic yet bold. Edgy or refined. Minimal, maybe. Everything and nothing. 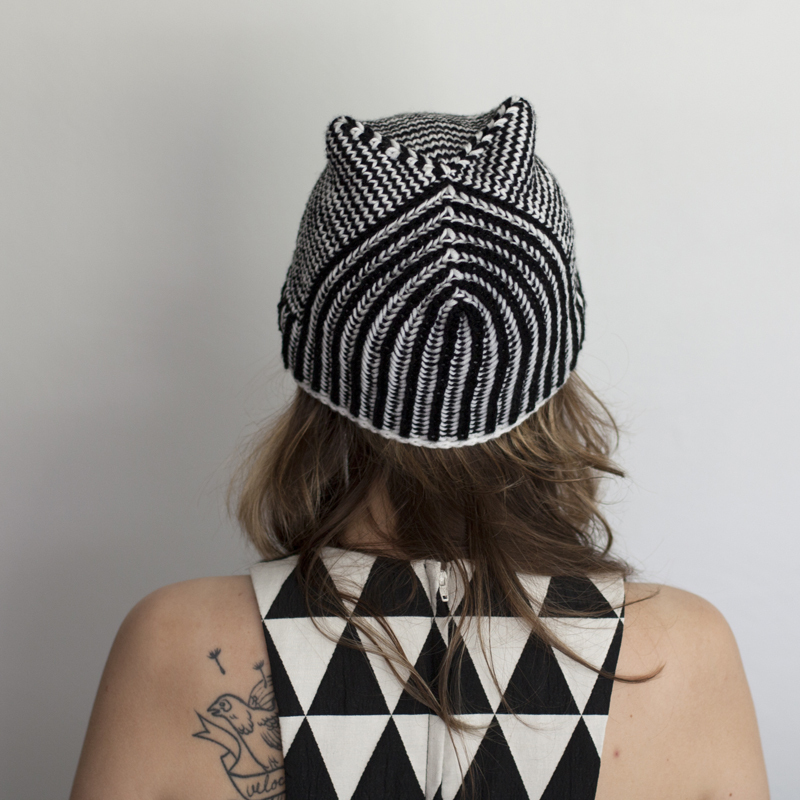 In this case it’s also a hat, called Scrimshaw… and it’s reversible. Black and white, inside and out. 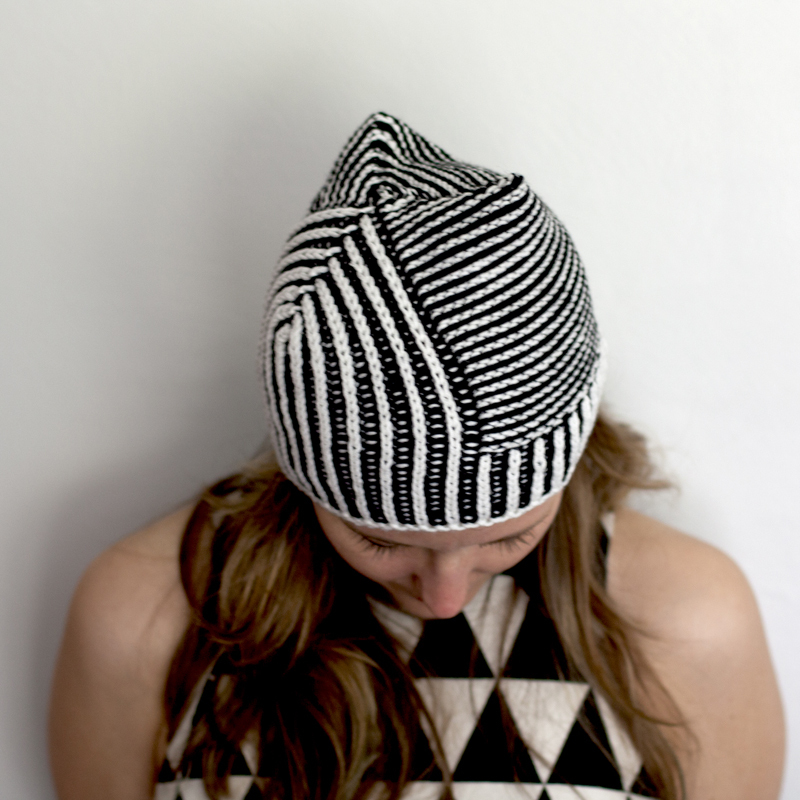 You can find the pattern in the Winter 2013 Twist Collective. 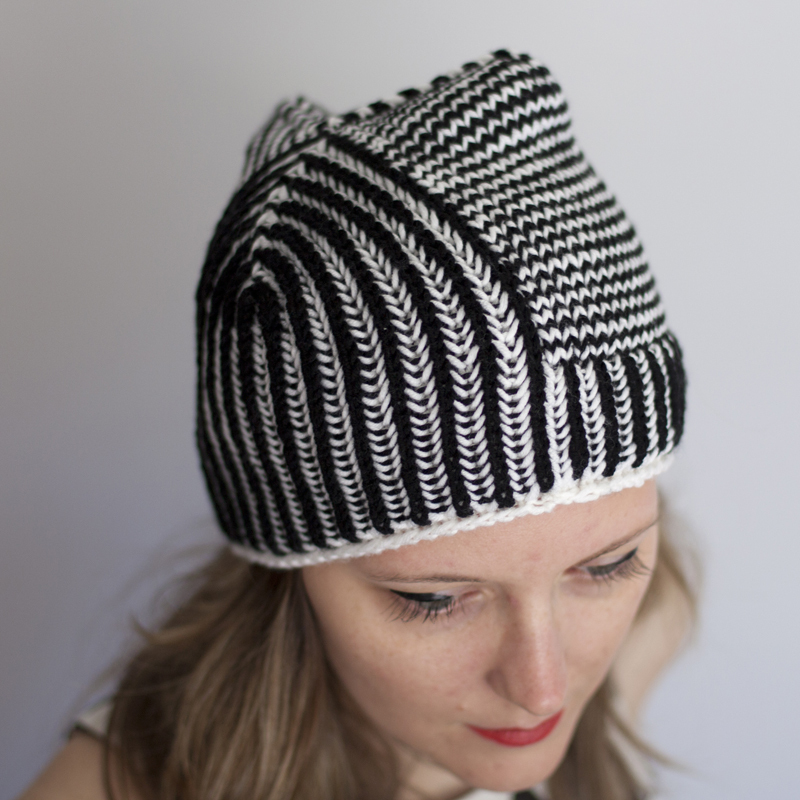 I was actually a teensy tiny bit sad when the pattern was accepted, because I loved my submission photographs and wanted to self publish the pattern just so I could use them! I’m so excited to be able to share them with you now. Is there anything better than black and white with a pop of red? Scrimshaw is sized for babies through adults, and is a quick knit in dk-weight yarn. Now that Black Friday is over… perhaps it’s time to add a few more knits to the holiday gift list?